Just popping in today to let local folk know I will have a stall at the From Cambridge With Love craft and vintage fair this weekend. A perfect fair for Christmas shopping! I will selling a selection of bicycle bracelets (new colours recently launched) as well as the popular Scrabble Tile Jewellery and Fabric rings, brooches, cuff links and hair accessories. I will be taking custom orders on the day too. 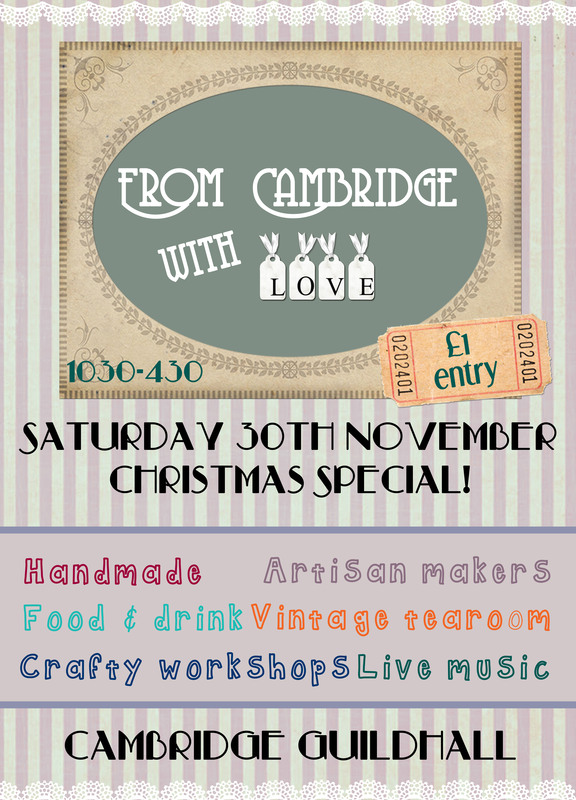 Visit From Cambridge With Love on Facebook for sneak peeks of the stall holders! I hope to see you there. If you can’t make it to Cambridge for the fair, why not use the coupon code THANKS in my Etsy store for 10% off any goodies? !